After years of focusing on picture quality, Sky has turned its attention to sound. 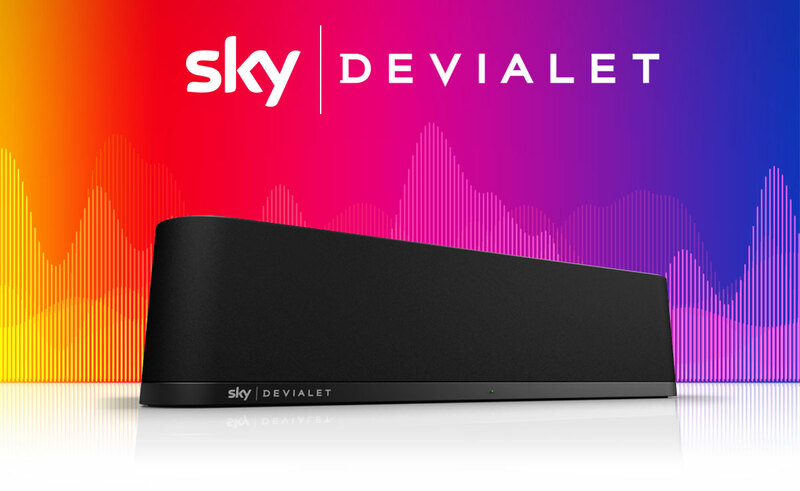 Sky, previously known for its premium HD and UHD offerings, has now joined forces with audio technology company Devialet to improve audio, by creating Sky Soundbox, a new all-in-one sound system designed to improve the TV viewing experience. From one single compact speaker unit, Sky Soundbox promises to deliver powerful and immersive sound, and claims to offer audio quality that surpasses many of the best home cinema systems available today. Sky Soundbox, which will be available to Sky customers in the UK and Ireland, combines Sky TV with Devialet’s ground breaking audio technologies, developed for the critically acclaimed Expert Pro amplifier and Phantom wireless speaker. Combining six woofers and three full-range speakers into a single compact device, Sky Soundbox uses the walls in the home to reflect ambient sound around the room, resulting in spatial surround sound, offering the immersive, 360 degrees experience normally expected from a full home cinema system, without the need for a subwoofer or extra speakers. Sky Soundbox is compatible with Sky Q, Sky+ and standalone TVs. When paired with Sky Q, customers can enjoy a new feature called "Sky Q Sound" – exclusive sound modes designed by Devialet, to automatically refine the audio for a range of Sky’s entertainment and sports. Each mode adjusts and tailors Sky Soundbox’s audio settings so entertainment can be enjoyed at its best. Sky Soundbox will go on sale this autumn priced at £799. Current and new Sky customers will enjoy great value at £299, with new and existing Sky Q Multiscreen customers priced at £249. Customers can pre-register for the latest updates about the new product at Sky.com/SkySoundbox. Meanwhile, Sky has confirmed that those customers who have already invested in a home cinema or AV system compatible with Dolby Atmos will soon able to enjoy the full capabilities of their speakers with Sky Q on selected programmes, following a free software update rolling out later this summer.